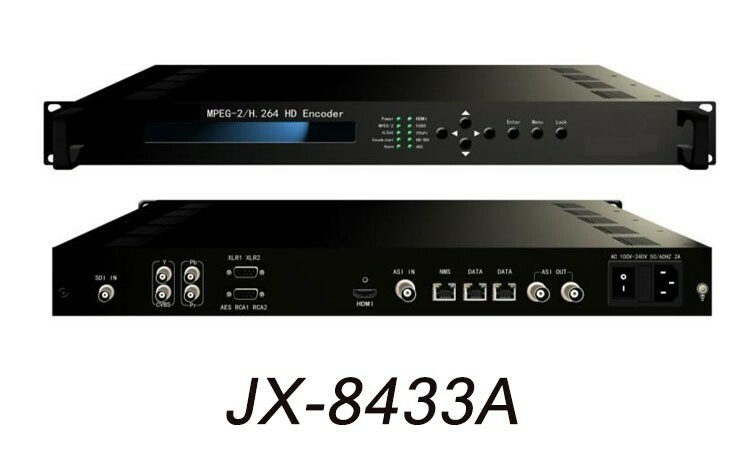 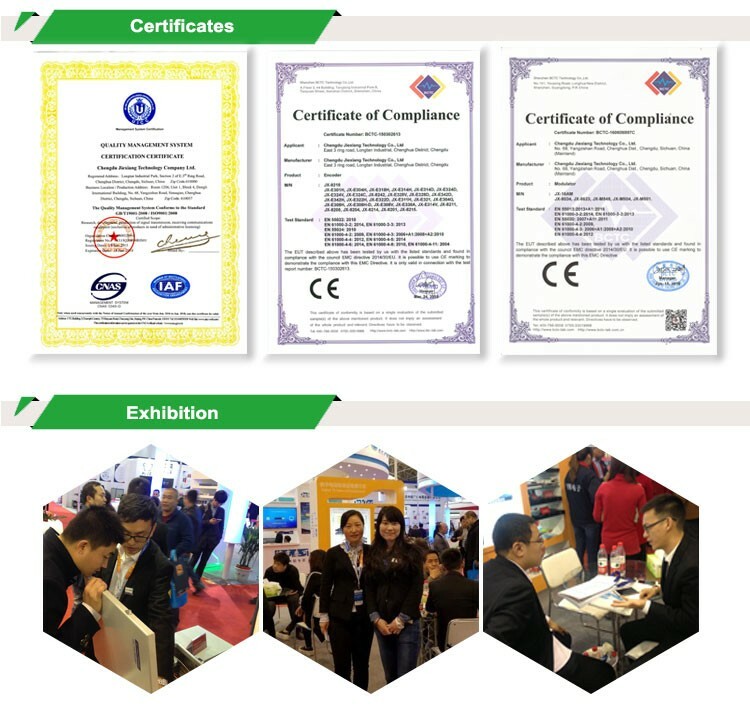 JX-8433A MPEG-2/H.264 HD Encoder is the new broadcasting audio & video encoding and multiplexing device with powerful functionality. 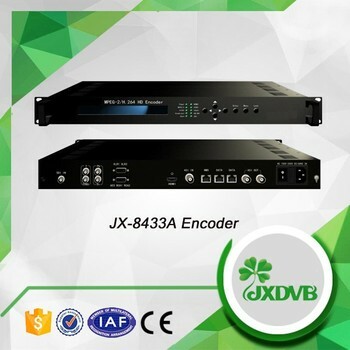 It is equipped with multiple video input interfaces (SDI, CVBS, YPbPr and HD) and audio input interfaces (AES, RCA and XLR). 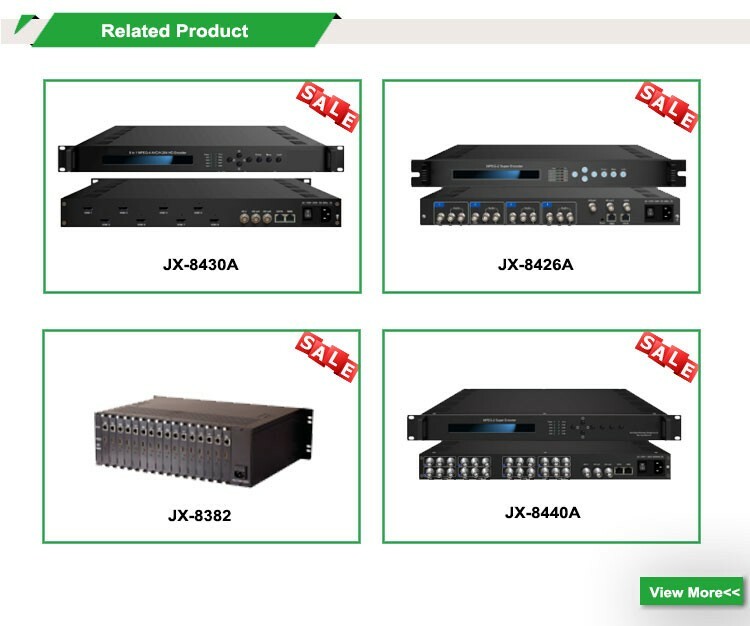 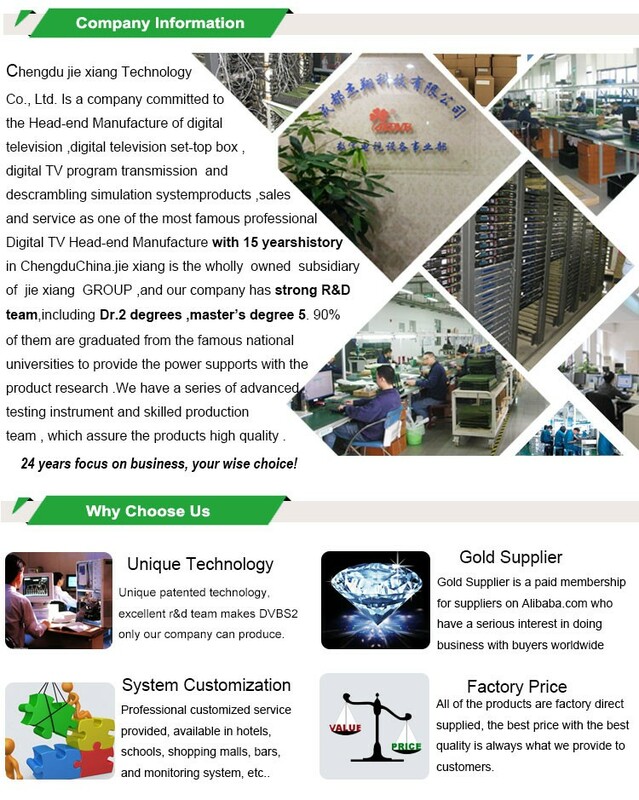 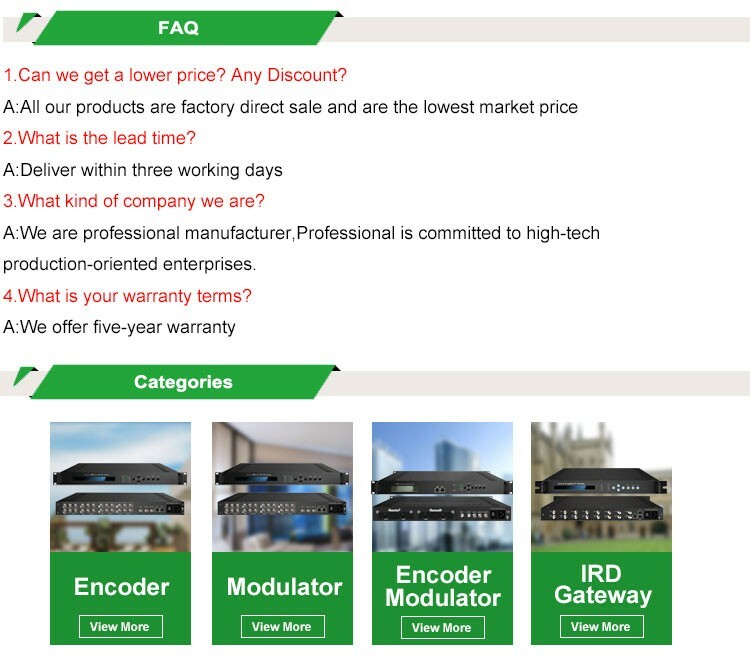 It supports both MPEG-2 and MPEG-4 AVC/H.264 video encoding and MPEG1 Layer II, HE-AAC and LC-AAC audio encoding. 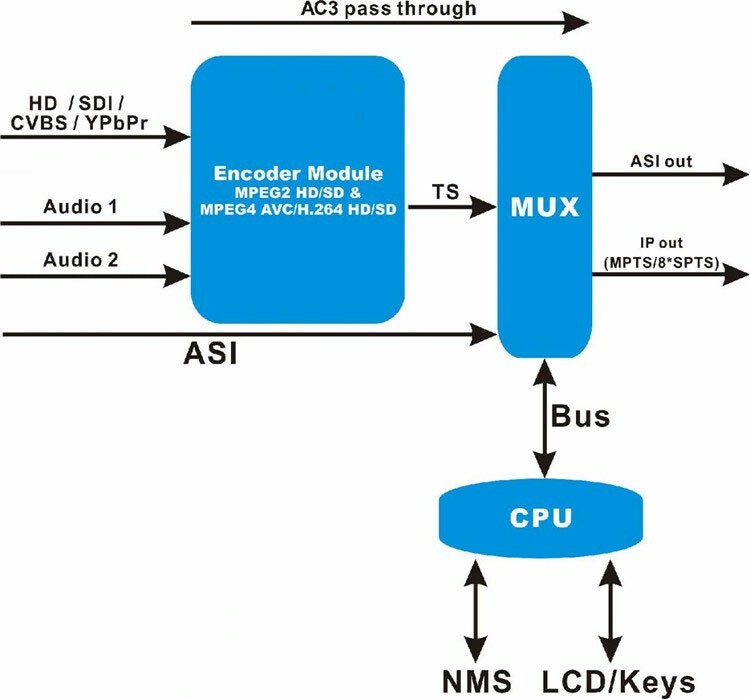 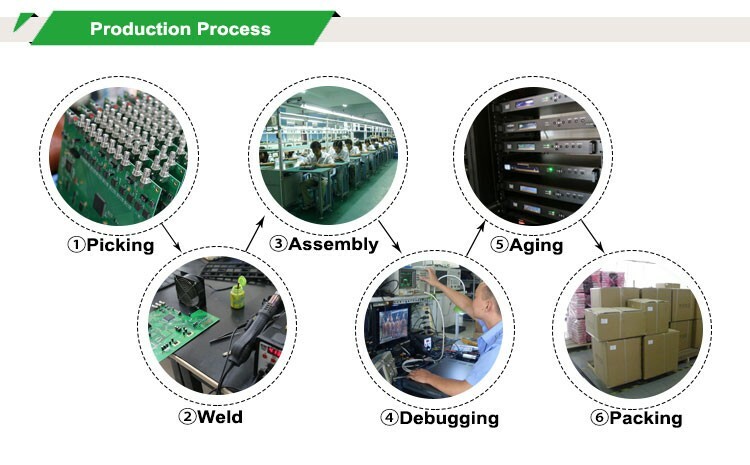 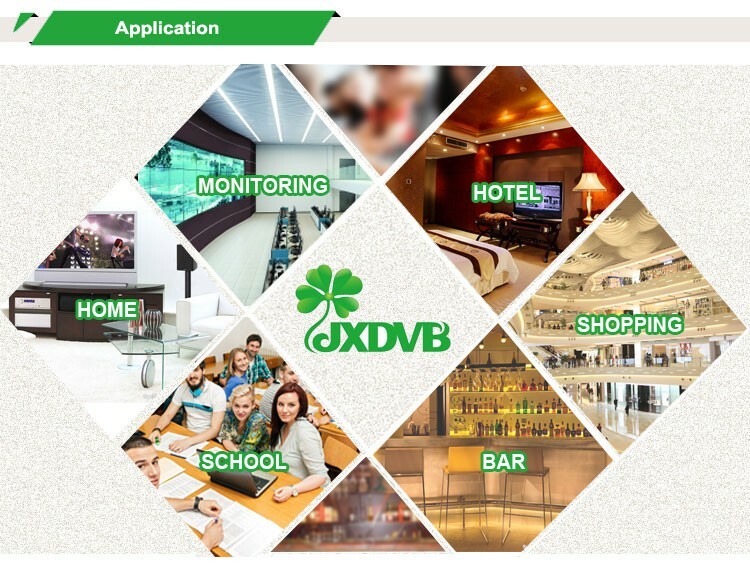 Multiplexing function is also embedded to select the input programs and output stream through ASI/IP port in the same time.